Community Crossing is a two-story center located on the NWC of W. Northwest Highway and Community Drive, just north of Dallas Love Field Airport. 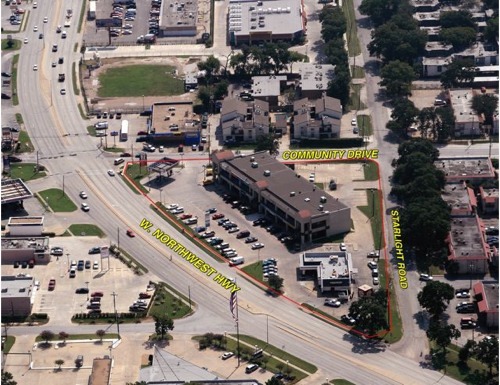 The center is conveniently located near apartment communities, Harry Hines Boulevard and I-35E. Tenants include Jack in the Box, 7-11, My Children’s Medical Center and other neighborhood services.